George Ortiz began his career in the legal printing business in 1986. Mr. Ortiz joined the Counsel Press team in 1991, working in our Real Estate and Bankruptcy Management Services Departments. In addition George managed the appeals printing contract for the U.S. Attorney’s Office, Southern District of New York. Mr. Ortiz also managed and coordinated the exclusive production of the litigation printing for Ernst & Young nationwide. Over the years serving as our in-court representative, he has assisted our clients with the preparation and filing of subpoenas and transmittal of records on appeal in both federal and state courts. In the interim he has developed and maintains an excellent professional relationship with federal and state court personnel. Mr. Ortiz's vast experience preparing complex real estate, financial and litigation products, including Co-op and Condominium offering plans, Private Placement Memoranda, Annual Reports and Prospectuses has been an asset to our team. In the past year George has become one of our top project managers for our eBrief services. 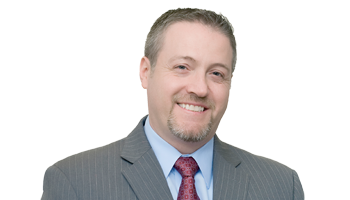 He has assisted many of our clients with electronic preparation and filing of their briefs and records/appendices in various Federal and State Courts. In addition to assisting our real estate clients with printing their offering plans, George is instrumental in assisting with the preparation of digital copies of offering plans on AG compliant CD-ROMS that comply with Cooperative Policy Statement #10, issued by the Attorney General’s Office of the State of New York. Mr. Ortiz also assists Co-op and Condominium management companies with the creation of OPOD libraries which helps streamline and manage the reproduction of offering plans and amendments.